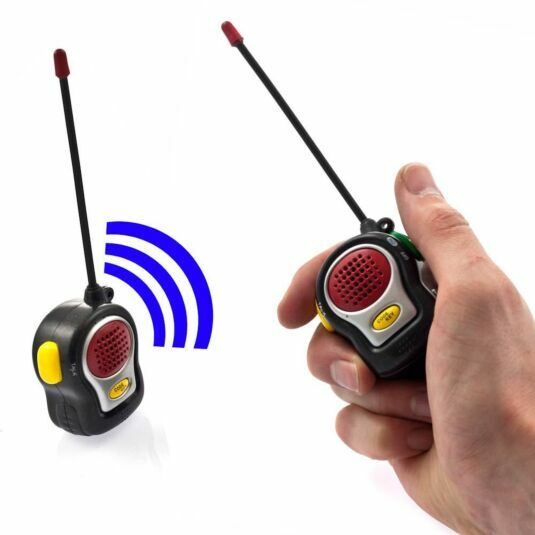 The world's smallest 2 way walkie talkies will bring hours of fun for old and young alike. 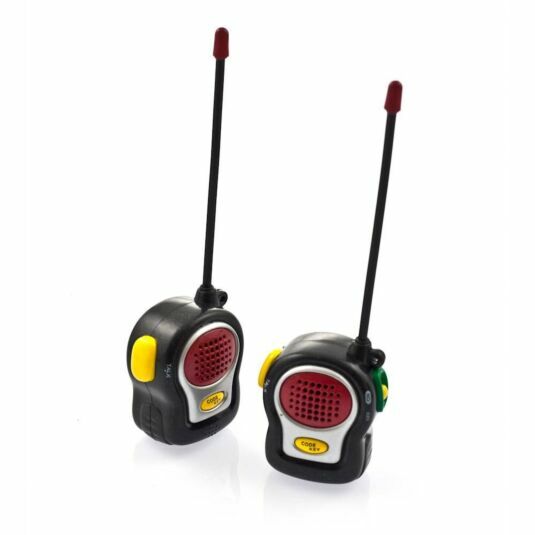 The walkie talkies penetrate walls, floors, steel and concrete and have a range up to 100ft/30m. They have flexible antennas so they will safely fit into your pocket when not in use, and come with an on/off switch on one side, a talk button on the other, and code key button on the front to communicate in morse code. Now i'm sure we don't all know morse code.. but it could be fun learning it. Maybe you want to have fun with your child, or watch them play with their friends. Alternatively they could be used to ask your partner to bring you a cuppa from the other room. Whatever the reason we're sure you will find them fun. Don't forget... "Over and out"
The walkie talkies each require 4 x AG13 batteries which are included in the pack. Measure: 5cm (l) x 4.5cm (w) x 3cm (d) 15.5cm length including antenna.